The Speed Festival is a celebration of New Zealand Motorsport. 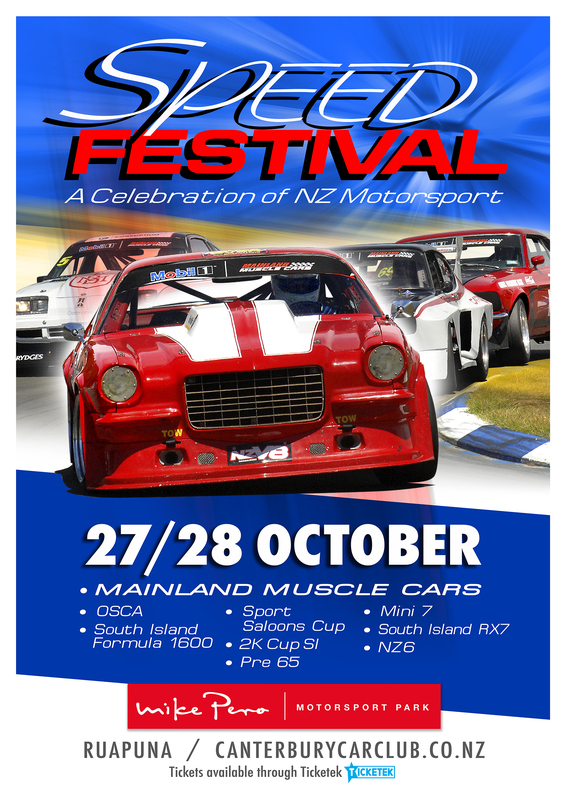 Headlining this year’s event will be the Mainland Muscle Cars. Also racing will be OSCA, South Island Formula 1600, Sport Saloons Cup, 2K Cup South Island, Pro 7, NZ6, Pre 65 and Mini 7. Qualifying and racing on Saturday and a full days racing on Sunday. Join us for the last promoted race meeting for 2018. Or at the gate on the day.